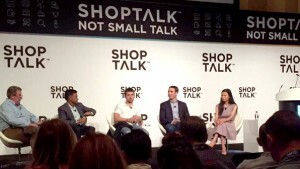 At Day 2 of the inaugural Shoptalk conference, The Fung Global Retail and Technology team heard about the demand for online products by brick-and-mortar stores, how malls are embracing mobile technology, and views on venture-capital financing. We kicked off Day 2 with fireside chats with executives from Birchbox, The Honest Company and Westfield Corp. Later in the day, we attended panels on 3D printing and social media practices. 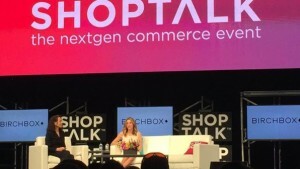 Katia Beauchamp, Co-Founder and CEO of Birchbox, discussed how her company has changed the way people shop online for beauty and grooming products. Birchbox has recently followed the online-to-offline trend, opening physical stores. The decision to do that, Beauchamp said, was driven by Birchbox’s desire to make beauty discovery more enjoyable. Beauchamp stressed that the most important aspect of the in-store experience is the store associate. Birchbox wants to “make store associates feel like superheroes,” she said. Retailers must learn how to best serve customers in the most holistic way and how to provide an entertaining experience that deserves the customers’ attention. Steven M. Lowy, Co-CEO of Westfield Corp., discussed the changing retail industry. In its efforts to change and adapt, the company is bringing new technologies to its business. It launched Westfield Labs in San Francisco a few years ago; hired data, analytics and digital infrastructure teams; and recently opened Bespoke—a retail and technology community—in the San Francisco Center. Westfield Corp. has also started accelerator programs with brands and is fast-tracking the retail and real estate infrastructure. Lowy does not agree with the idea of “the death of the mall.” Rather, he feels that malls must become exciting spaces to experience, requiring an interactive environment incorporating technology, entertainment and leisure. Lowy noted the concept of a “Searchable Mall” on mobile, which would allow the consumer to things such as order food in advance and be guided through the mall more precisely than with any GPS system. In the end, he said, it is all about producing a better customer experience. We also attended a panel where, in a Q&A format, panelists discussed retail and consumer investing. You can find highlights of the session, with comments paraphrased and condensed, here. The panelists were: Ajay Agarwal, Managing Director, Bain Capital Ventures; Ben Lerer, Founder, Thrillist Media Group & Managing Director, Lerer Hippeau Ventures; Dan Rosen, Partner, Commerce Ventures; and Janie Yu, Partner, Fung Capital. #Ad and “Promoted” are both commonplace markers on Instagram, Facebook and Twitter these days, as advertisers shift their focus and marketing tactics evolve with consumer habits. Customers want control and social media offers that, making it a strong tool for brands and retailers. The variety of apps is constantly changing, and apps and platforms need to evolve with the consumer. For example, Shan-Lyn Ma, CEO and Co-Founder of Zola Registry, said that a year ago her company would have named Facebook as its main platform. Now, with the addition of the “Buy Now” button, Pinterest is its primary social platform. As new social apps—like Snapchat—are introduced, brands must create meaningful customer engagement to spur brand loyalty in the initial stages of a social network’s growth. 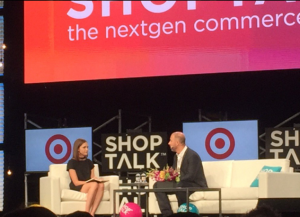 Tim Kendall, President of Pinterest, focused on merchant opportunities on Pinterest and the future of the service as a platform for mobile discovery and commerce. Since launching last June, Buyable Pins offer 50 million products on Pinterest. This compares to the 400 million SKUs available on Amazon. Increasing selection increases engagement—likely one reason more and more retailers now sell products on Pinterest. Retailers do not pay to participate and Pinterest shares data with the merchants. Pinterest is also working on creating product pins with location capabilities, providing opportunities for in-store innovation. Nicolas Franchet, Director of Global Vertical Strategy at Facebook, discussed how we are entering a new era in commerce based on greater control by the consumer and greater availability of information about people. This is redefining how consumers rediscover and purchase products. He noted that Facebook has 1.65 billion users each day, and 91% are on mobile. Franchet stressed that mobile is completely redefining many areas, including: discovery, personalization and ROI. “Mobile has changed the way we shop and live,” stressed Jonathan Alferness, VP of Product Management-Shopping at Google. For example, he noted that about 34% of all US online retail purchases are made on mobile and that YouTube is the #1 social platform for helping users make purchases. YouTube videos are now even shoppable, he added. Alferness also mentioned the new buy buttons at Google, known as Purchases on Google. They are branded by the retailer and hosted by Google, and offer control over which products trigger the buy button and which lead to a retailer’s website. Machine learning is used to determine when it is and isn’t a good idea to show buy buttons. We also attended a panel on 3D printing technology where panelists discussed how and when 3D printing will go mainstream. Panelists included Gihan Amarasiriwardena, Co-Founder, Executive Chairman and Chief Design Officer, Ministry of Supply; Bill O’Farrell, Co-founder and CEO, Body Labs; Arden Rosenblatt, CEO, PieceMaker; and Kegan Schouwenburg, CEO and Founder, Sols. Pano Anthos, Managing Director, XRC Labs moderated the panel. Get all the details here. 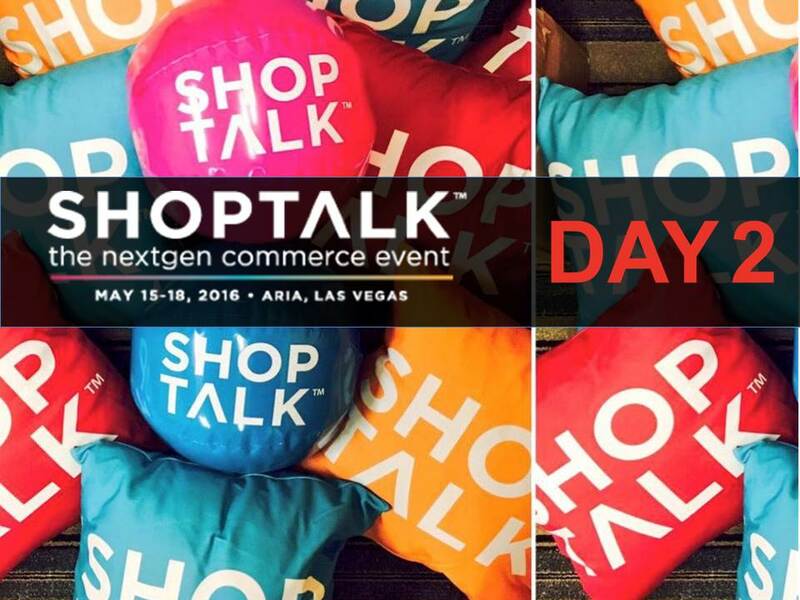 Read our report on Day 2 of Shoptalk for all the details. Miss Day 1? Check out our report here.